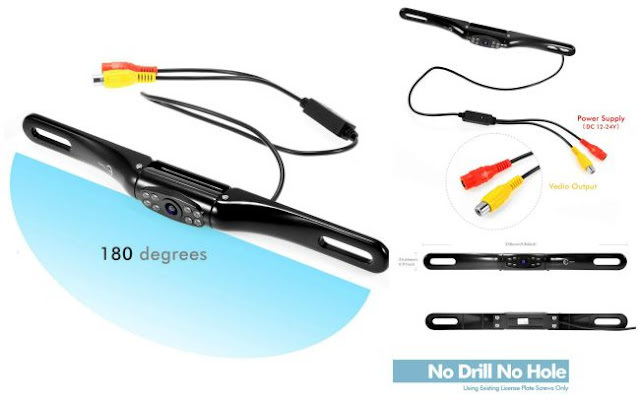 The Esky EC180-35 180 Degree Viewing Angle 100% Waterproof High-Definition CCD Vehicle Car Rear View Backup Camera is one of the devices that you’d probably not think you needed … until you have one. I recently switched from an SUV to a sports sedan, yeah I know “What was I thinking?”, other than the sedan is far more fuel efficient. However, having had an SUV with essentially zero blind spots getting used to a sports sedan has been a feat. The issue is backing up. Now, before anyone starts getting misogynistic I was a professional driver and I KNOW HOW TO DRIVE. The issue is backing up either out of the drive or in a parking lot. The rearview mirror just doesn’t cut it. Enter the Esky EC180-35 180 Degree Viewing Angle 100% Waterproof High-Definition CCD Vehicle Car Rear View Backup Camera ($49.99). It offers a one-button control with 8 LED Night Vision and presents clear real-time images. Awesomeness! Yes, the blind spots have been eliminated. Installation: The camera mounts easily on the vehicle, using the two holes on the nameplate, and appears to be almost invisible with its sleek design. Equipped with a metal frame, it is a perfectly fit for all cars and very simple to install. 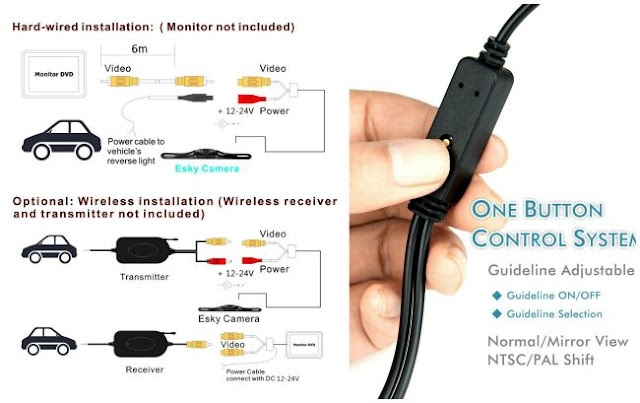 You can get your Esky EC180-35 180 Degree Viewing Angle 100% Waterproof High-Definition CCD Vehicle Car Rear View Backup Camera on Amazon!